Medical News: What Can You Trust? The head of Memorial Sloan Kettering Cancer Center, a world-class cancer research center, recently admitted that he had accepted $300,000 from a cancer drug manufacturer in 2017 and $285,058 in cash and stock from a leading drug research company in 2017. No one knows for what, but he had been a board member of both companies for years. When his failure to disclose these ties were revealed in late 2018, he resigned. A second doctor at Sloan Kettering, an internationally acclaimed breast cancer researcher, got even more—more than $3 million from Roche pharmaceuticals. He was forced to resign and has just been handed a job…at a leading drug company. These are far from isolated cases. Medical research studies are supposed to be free from outside influence, and the revelation of both men’s actions—plus those of many other researchers who failed to disclose payments from companies with a financial interest in research under the doctors’ oversight—has left the research community reeling. That community had thought it had dealt with the problem of outside influence on studies years ago when it had established the requirement that all researchers must disclose any financial relationships that could in any way, shape or form pose a conflict of interest. It hasn’t worked. Now, all across the country, major research centers are reexamining relationships between key administrators, doctors who conduct studies inside their walls, and companies that develop and sell medical devices, drugs or both. Their concern is justified. An analysis conducted by ProPublica, a nonprofit group of 75 awarding-winning journalists honored with Pulitzers, Emmys, Peabodys and other equally prestigious awards, revealed that from 2013 to 2016 alone, nearly $9.15 billion in payments were made by companies with a vested interest in selling medical devices or drugs to more than 904,000 physicians in the US. According to an article in JAMA Surgery, a whopping two-thirds of the 100 doctors who received the most money from 10 surgical and medical device makers did not reveal their financial interest in such equipment. So how then can you know when studies are based on solid science? How can you have faith in the information they offer to keep you and your family healthy? Find out who paid the bill. ProPublica’s “Dollars for Docs” page lets you search to see if doctors—those involved in research or your own providers—have received payments from medical companies. You also can find out whether a doctor is receiving funds from sources outside his/her institution through the Centers for Medicare & Medicaid Services’ Open Payments database. It will list any ownership and investment the doctor has declared from outside sources, and the amount of funding he receives for research related to his work…and how the money your doctor receives compares with others in his specialty. Given the stunning fact that so many doctors receive “extra” money, it’s unlikely that even these two databases will reveal every doctor who accepts outside money. Dollars for Docs listed payments to both of the Sloan Kettering doctors caught with their hands in the till, for example, but the Open Payments database listed only one. Trust, but verify. 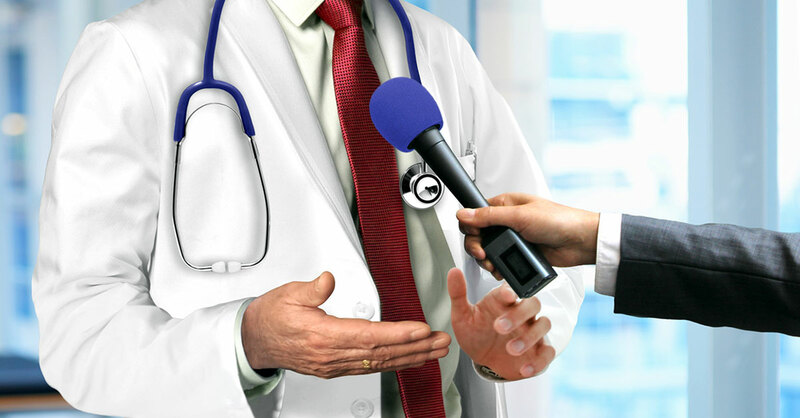 You generally can trust research that comes from the National Institutes of Health (NIH) and major academic centers, says Ivan Oransky, MD, who has taught medical journalism for 16 years at New York University. Neither the NIH nor academia is perfect, but given the level of professional scrutiny to which they’re subjected, chances are good that you’ll find research you can trust…and there’s at least some chance that any irregularities will ultimately be reported. Check out the NIH’s National Library of Medicine at PubMed Central. The archive offers free public access to more than five million articles on studies published in medical journals. Just pop your topic into its search engine and you’re on your way. You can limit your research to the most recent studies and then go to the disclosures section to see how each one was funded. Focus on peer-reviewed journals. Look for studies that are published in major journals such as The New England Journal of Medicine, JAMA and Journal of the American College of Cardiology. So many professionals watch every word that major journals publish, so if a mistake is made or a conclusion not supported, hopefully the record will be corrected. Check out Retraction Watch. When researchers have made mistakes and withdrawn their studies from the journals in which they were published, only scientists are likely to know about it while the original study continues to circulate to the general public. That’s why Dr. Oransky cofounded the nonprofit Retraction Watch, a website that keeps track of study retractions. To check out the validity of any study in which you’re interested, look to see if it’s listed on the Retraction Watch database. If it is, toss it in the trash. Treat stories in newspapers, on websites, television, podcasts and other media with caution. If he’s reading a health article from The New York Times, Dr. Oransky generally feels comfortable with the information because he understands how the Times develops an article and knows its record of getting things right. Yes, sometimes even a major newspaper can make a mistake, but a news organization such as The New York Times is quick to issue a correction. If you don’t have a level of knowledge about something you’re reading or listening to in the popular press, he says to be skeptical about whether the information is valid or not. Quiz your doctor. Your doctor was trained for between 11 and 15 years to read and interpret studies. If you have a question about something you’ve read, he should know the answer. If not, particularly if it’s related to a condition you have, well, that’s a problem. You may need a new physician. Work with a medical librarian. Both academic medical centers and large hospitals have robust medical libraries, often with highly trained consumer-health librarians who often are willing to work with patients. They may recommend sources of information on particular health issues and help with online searches to get you information about your health challenges, says Alan Lampson, MLS, lead librarian at University of Vermont Medical Center’s Frymoyer Community Health Resource Center. You can find a list of these libraries by state on the National Library of Medicine website.